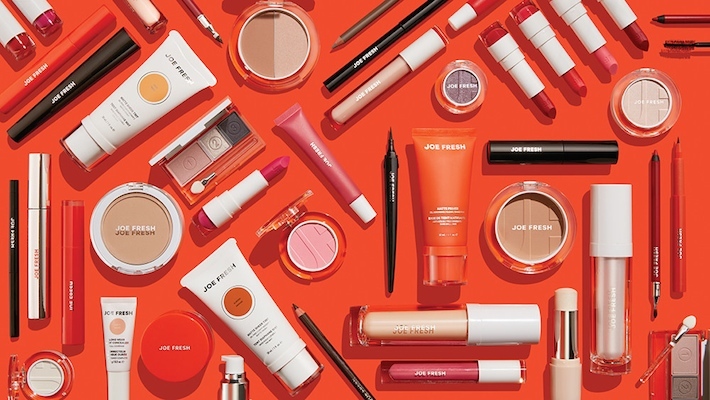 TORONTO — Shoppers Drug Mart (SDM) has expanded its beauty offering with the introduction of the Joe Fresh Beauty collection. Joe Fresh Beauty has been rolled out to 850 Shoppers Drug Mart and Pharmaprix stores across Canada. The launch brings a comprehensive new lineup of seasonally relevant colors and innovative products for face, cheeks, eyes and lips, with new items to be added on a regular basis, including core and seasonal cosmetics. Joe Fresh Beauty is now available at 850 SDM and Pharmaprix stores across Canada at prices ranging from $8 to $18 (Canadian). The collection includes more than 150 cosmetics products and new formulas that make beauty easy and affordable. The brand’s signature 5 Minute Face makes the daily makeup routine fast and effective, with products that promise beautiful results. The new Joe Fresh Beauty line also comprises innovative products such as the Daily Boost Fluid Foundation, a hydrating formula packed with antioxidants; Tinted Brow Fix for expert brow shaping and long-lasting color; Hydra Lash Nourishing Mascara, enriched with argan oil and featuring a silicone brush; and juicy, pigment-rich Lip Crème that helps condition lips while providing saturated color. All the products will eventually be rolled out to other Lob­law Cos. outlets across Canada including Loblaws, Real Canadian Superstores and Provigo in Quebec. Since 2009, Joe Fresh has offered a modern range of essential beauty items in the mass cosmetics category. The brand is known for empowering everyday personal style by uniting spirited beauty with exceptional value.